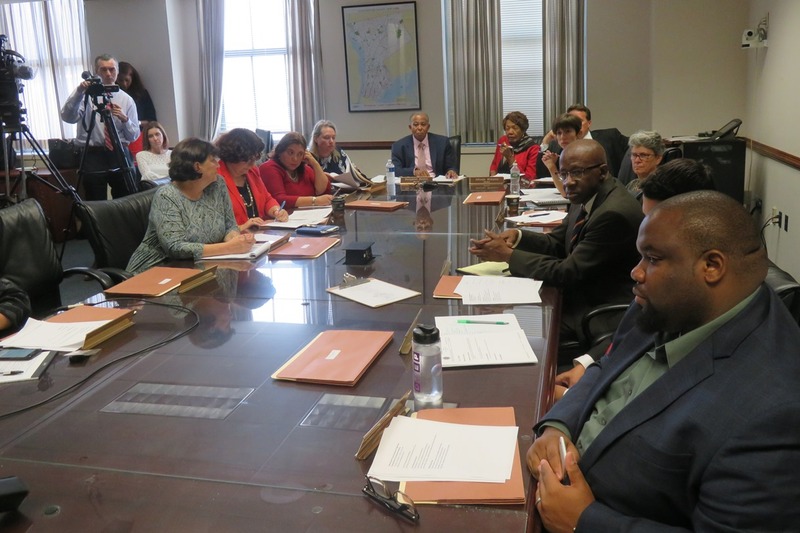 White Plains, NY -- The Westchester County Board of Legislators met for two hours on Tuesday with representatives of Consolidated Edison (Con Ed) and New York State Electric and Gas (NYSEG) to press them on changes to the utilities’ storm response plans. The meeting comes after storms in March and May left thousands of county residents without power, many for as much as a week or more. It was the third public meeting with the utilities since the outages. Legislators said they were happy to hear that the companies had agreed to implement some changes that grew out of previous discussions. But legislators remained uncertain that the companies were ready with plans for putting enough crews into action fast enough when the next storm hits. At the meeting Tuesday, Con Ed said it is investing the same amount of money and resources in storm hardening in Westchester County as it did following Superstorm Sandy. It will spend $100 million over the next four years on capital investment. Company reps outlined steps taken since March in areas of tree and vegetation management, expanding communications capabilities, and increasing operations personnel and liaisons with local municipalities. Reps also pointed to system improvements including the number of smart meters installed which they said will help them track outages and restorations. Reps talked of increased hiring of Con Ed line workers and contractors who could be deployed when storms strike. Minority Whip Gordon Burrows (R-Yonkers) questioned Con Ed on mutual aid improvements, specifically on the suggestions of flying in crews from out-of-state, and the answer was that Con Ed was finalizing such details. They are looking at having a “shadow” fleet of 50 trucks [“un-retired” or leased vehicles] and bringing in line workers by plane, which would translate to 50 extra crews. Con Ed also stated that they are in bid process now for hiring local contractors with the necessary qualifications to work with their teams as independent contractors. But after the meeting Majority Leader Catherine Parker ( D – Harrison, Larchmont, Mamaroneck, New Rochelle, Rye) said, “Frankly, I remain skeptical,” noting that an event that reps said was a Con Ed event to educate the public on issues involving trees and wires seemed to be a book signing and discussion of native plants sponsored by Con Ed. “It doesn’t build trust when the messages seem contradictory,” she said. NYSEG reps passed out an 18-page printed PowerPoint presentation outlining steps the company has already taken, and others under consideration since the March and May storms for the Brewster Division of Avangrid, the parent company. Among the plans are a $2 billion companywide investment in pole replacement, infrastructure hardening, network automation and tree trimming. The company noted that 49 percent of outages in the Brewster division are vegetation related and that the company is on track to complete a five year tree trimming cycle for the whole Brewster Division service area by the end of the year. The company also is beginning a five year project to replace underground assets throughout the region including around the Heritage Hills complex in Somers. The company also said it would allow towns in its service area to review ongoing improvements to the company’s automated communications system. Mike Kaplowitz (D – New Castle, Somers, Yorktown) pressed NYSEG to agree to assigning at least one crew per town and asked that the company consider flying in extra crews after storms strike, similar to the plan Con Ed said it was working on. Video of the full meeting can be viewed here.